Ski lessons for all the family are very difficult to arrange. There are many options and we have tried them all but this year we decided to go all out and have our own private ski instructor for three whole days and we loved it. So, let’s go through the options and we can explain why we loved this one. 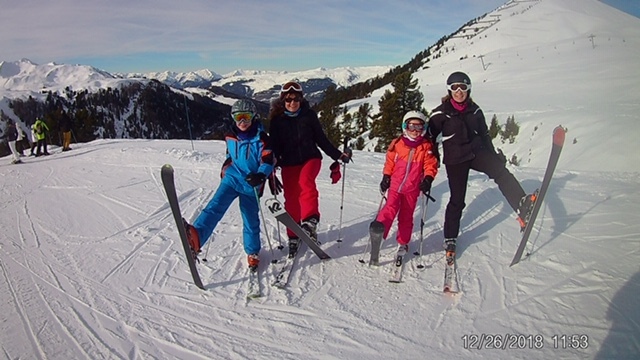 This was the first time we booked a private ski teacher for all the family and we went with Maison Sport which is basically an agency for lots of professional ski instructors who are self-employed. The system was very easy to use as you typed in the resort area and dates and then a list of instructors with availability popped up. 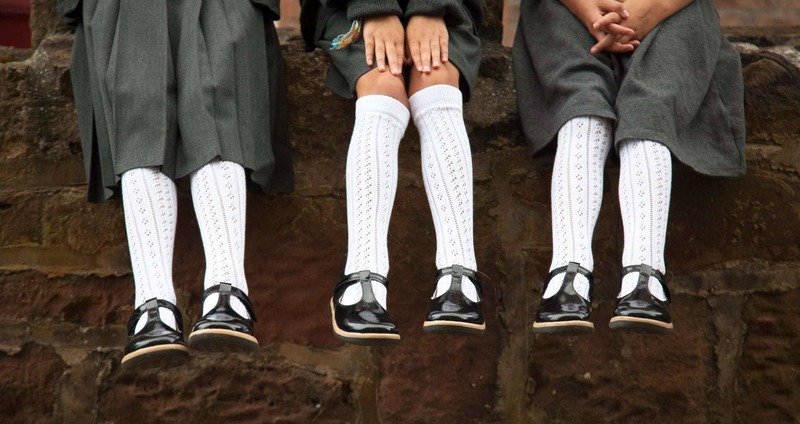 You can read their profile and customer feedback and can email them questions through the site. We chose Dorian Arp who was a downhill skier and specialised in off piste so perfect for a family with mixed ability ranging from blue to black! 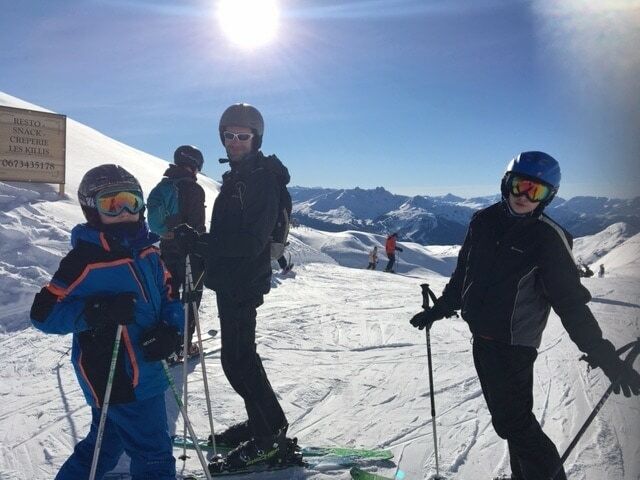 We decided on a private ski instructor as our children had learnt through ski school and we were all intermediate so did not want to be going around the slopes with a group of strangers for half the day. This option meant we got to stay together and move across the slopes together instead of rushing to the same meeting spot every day like you have to at ski school. With the private ski instructor we used Whats App if we did break up for a bit, and we quickly met up at the nearest lift rather than having to go back to the bottom of the slopes. We used a what’s app to set up a group chat for arranging start time and location. This was very useful and we could also send a picture of each other to ensure we recognised each other on the slopes in our helmets and goggles. Having an instructor for the whole day took out all the logistics of having to be back at certain times and limiting the area you could go to. We loved that we could just go all over the mountain and not be restricted by time. We were in La Plagne and could cross over to Les Arcs so there was plenty of snow and runs. How did it work for a mixed ability? 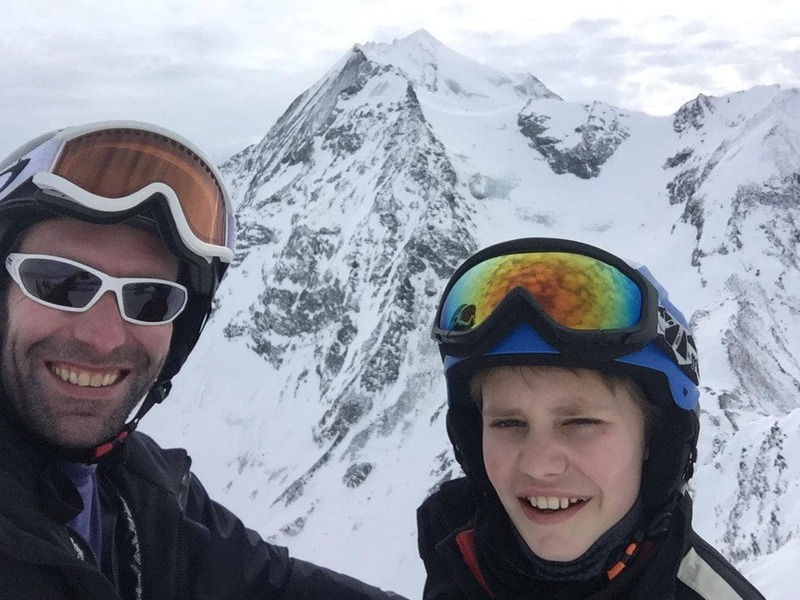 This is why we decided on a a private ski instructor for full days as this gave us lots of opportunity to break up into smaller groups or concentrate on different skills. We were a group of 8, two families with two teenagers 13 and two 10 year olds and the private ski instructor assessed our abilities then divided us up and we kept meeting up over the day and swopping round. The instructor could then constraint on what skills we were lacking and in my case lots. The teenage boys loved having a session where the instructor got them to think ‘smart not fast’ on the slopes and because they were not in a ski school lesson they didn’t get into showing off or competing. The intermediate part of our group also didn’t have to rush to keep up as there was plenty of time to stop and home in on technique. 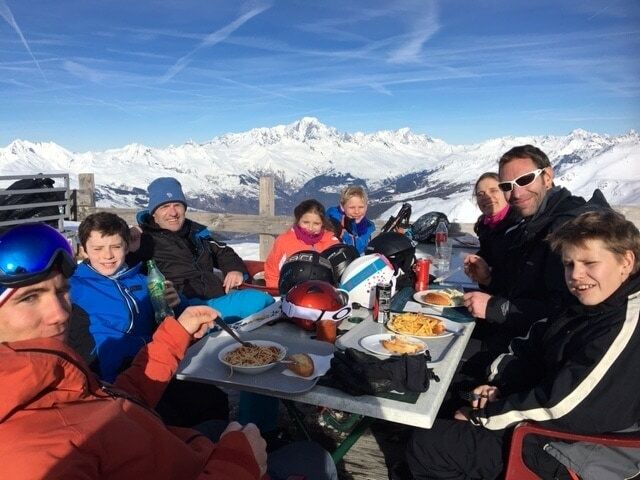 Often, when we ski we take sandwiches in a ruck sack on the slopes to save time and costs but during this week we stopped us off at a lovely restaurant on the slopes and then we were hooked. We took to spending a hard morning skiing, then hot chocolate and a hot meal with lots of cheese. The deal was that you also bought the private ski instructor lunch too. You also need to consider a tip at the end of your ski week and we gave 50 Euros for the 3 days. I don’t know exactly what is expected, but he seemed happy with this. What next for our private ski instructor? This is when we realised how posh skiing can get. Our instructor was popping over to Italy to meet some clients and go in a helicopter to catch some off piste then to have lunch and do some shopping in the afternoon. He was full of stories of how clients just wanted him to organise the whole day, book restaurants and the best seats on and off the piste and know the best slopes. 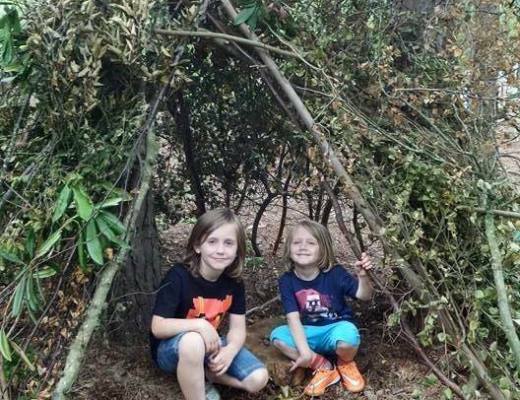 Have a read of this article to get a flavour of our instructors life style as this was written just after our trip https://www.metro.news/escape-on-the-razz-in-la-roz/1391503/ . We all got on well and he felt like a long-lost friend who loved to ski and wanted us all to be happy and have fun. 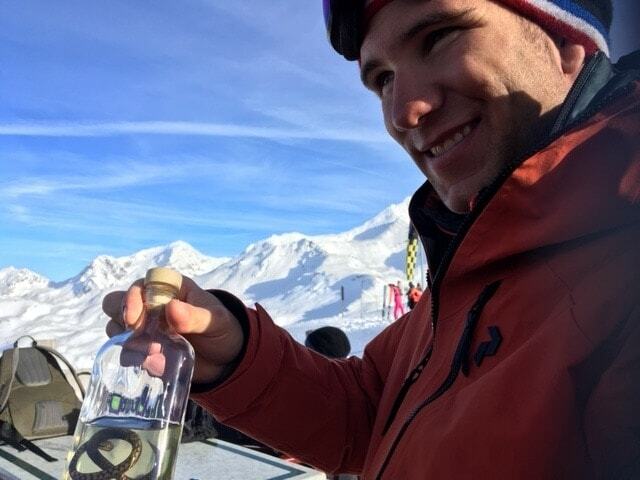 He had made his own viper drink ‘genepi’ a local herbal liqueur for the slopes and on the last day entertained us with stories and shots of this drink so that we had memories and he knew that we would never book someone else again as he was now part of the family. Is it expensive to book a private ski instructor? Skiing is expensive it’s just one of those things. We felt that as we were sharing the costs between us this actually felt like good value for money. Our instructor was 400 euros a day which considering there was 8 of in the group worked well. Some range from 350 to 500 euros a day depending on experience and availability and what you want to do. Having your own ski instructor meant we could have done more off piste but you would need to make sure this was on your travel insurance and you had avalanche transceivers. I saw an avalanche on our trip and told our instructor who was able to alert the medical team immediately and helicoptered over to find that a 14 year old boy was trapped in the snow without a receiver. He survived after being located by a rescue dog 45 minutes later (only a broken leg) and quick thinking on our instructors part to get support so quickly. So be SMART. Booking a package of ski school lessons for the week were you get 2 and half hours a day for 6 days and a certificate at the end works well for children especially when they are beginners. A morning slot works well as parents ski in the morning and you meet for lunch then have the afternoon together. I’ve done this option a few times and booked about three lessons with an instructor over the week however you always get the same slot and meeting point which is at the bottom of the slopes so you feel that a lot of your time is on lifts getting down the slope as these lessons are lunch or afternoon and then up the slopes again on lifts. I have enjoyed this option and shared the cost with a friend but I think value for money our own private teacher for the day worked out far more efficient and I didn’t have to worry about getting to the bottom of the slopes to the centre. We used ski Ef when in Val Thorens and had the same instructor for 6 days with a 2.5 hour lesson. I would not go for any less time as you have to consider sitting on chair lifts and queues. We loved this option and had a lunch time lesson every day with a very good ski instructor. We learnt so much and because there was only 4 of us in the group we gained so many skills. I would do this option again and recommend if your intermediate. 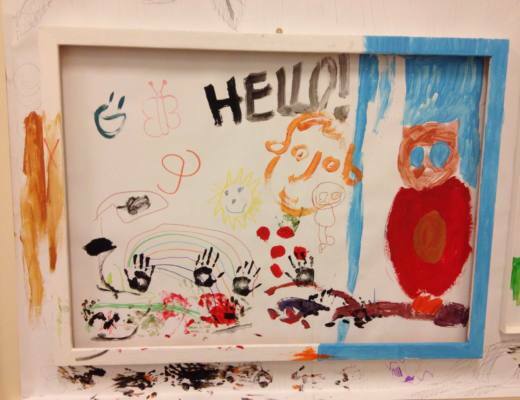 The cost would be 1,225 Euros 6 x 2.5 hours (group 3-5). However you all need to be about the same level. This is why we went for the private teacher for the day so that we could split up and have a mix of teaching. I think this resort worked well for this type of lesson as we were already high up and at the centre of the resort you could get on to good slopes very quickly. Some resorts like Les Deux Alpes getting to the bottom of the resort to meet is a pain and you spend a lot of time trying to get back up to good snow again. Why do ski lessons at all? You are never too good to get ski lessons. Just because you had lessons years ago and now feel you are a pro on the slopes you are actually gaining bad habits all the time. Having a ski instructor to make sure you keep improving and actually use your equipment properly is definitely worthwhile. Think SMART was our instructors advice constantly, especially for the teenagers who wanted to go fast all the time. If you have the skills then you can go fast otherwise your just out of control and using hope you get you down safe. THINK SMART and learn to ski with skill then the speed will come naturally. One day I hope to be a good skier but I still stick to the blue runs get scared on the red and accidentally end up on a black run promising my self I will never do that again. With the teenagers wanting to be more adventurous I’m having to learn to keep up as I don’t want to be the mum who will meet you for hot chocolate on your break dear, I want to be the mum up for a heli ski adventure as that’s my next aim as we progress in life. Have to get the carrier going first to pay for that kind of life style but you never know as I thought we were all working hard to gain life experiences rather than financial assets. oooooh this has made me excited for next weekend. We are heading to the slopes and this year have booked a private lesson for the 3 of us which we hope hold helps are technique. I am the same – very much a blue slope person but would love to progress to the reds at some point without the fear of god going through me. I’d like to visit as soon as possible. I like the area very much..